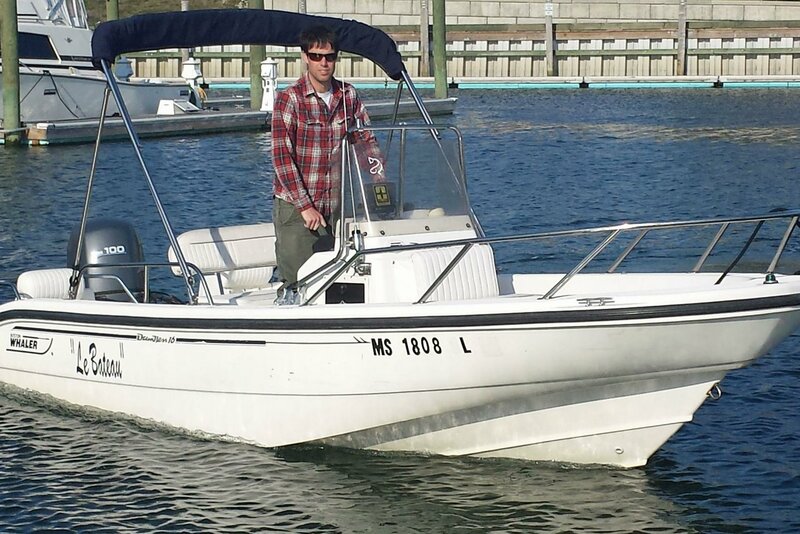 The cousin of the 16' Ventura, this center console Boston Whaler has two rear seats, a forward cooler seat and a versatile center console seat/leaning post. 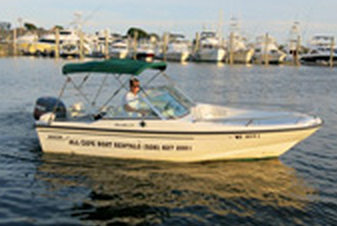 Great for fishing or a outing to the beach, the 16' Dauntless can hold up to 6 people with a retractable bimini top. If this boat isn't the perfect option for you, please still connect with us! We have a huge fleet from which you can choose. 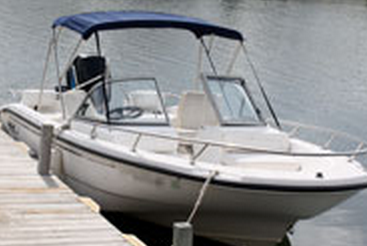 We will find a boat that satisfies all of your needs! 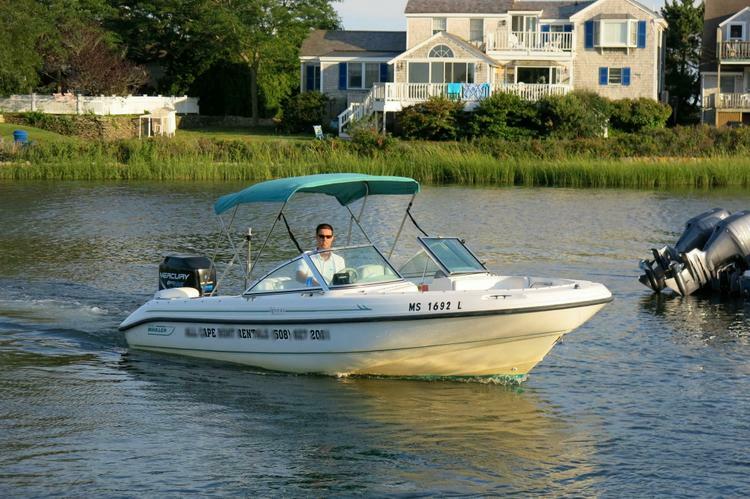 Usually this boat operates around Barnstable, MA.